PYBS Tryout Dates Are Set! Hello! First step forward – I would like to introduce myself to you. My name is Brian Fabry and I am honored to be the next President of Plymouth Youth Baseball and Softball. If my math is correct, this will be my 10th season as a member of the PYBS community, my sixth as a Board member, and now the first as the President. My role is to empower you – as the membership – to make this the best baseball and softball league the Town of Plymouth has to offer. I would like to thank Don Banzi for the last three years as President. Don held the league together through some tough times and stayed on board last season despite not even having a child in the program. Thank you and well wishes to you, Donna, and the family! I would also like to thank the PYBS Board of Directors for having the faith in my passion for the game and this town to bring us to the next level. There are quite a few things operating in the background and hopefully Opening Day in 2018 showcases Plymouth as the premier destination for baseball and softball. If you are reading this - you are here! Our new website is almost complete and you will be able to register your child starting on Tuesday, September 12 for all upcoming spring leagues. We’ve been working diligently in the background to provide a better online experience for everyone involved and have a one-stop shop for parents, friends, and coaches to get all their information. There will be more news articles, more pictures, team pages, and lots more ways to communicate with you. The idea is to build this together. For all players interested in playing in the American League next season, you must attend the tryouts which are scheduled for Saturday, September 23 at Forges Field. If you were a 9-year old in Farm League or played in the National League last season, this is your opportunity to join the next level of play. Kids are expected to arrive at 8:30am to warm up and you will be required to sign your son up online OR this will be the only opportunity for a walk-up registration with a check or money order (no cash please). Last Name begins with H through Z – 10:30 to Noon. Age eligibility for these two leagues are strict so if your player has yet to play on a team in the American League and was born between May 1, 2005 and April 30th 2008 – your child is eligible and must try out to be considered for the American League. ***If you cannot make tryouts – you will need to contact Dave MacKenzie at rma.construction@yahoo.com PRIOR to the tryouts. Farm League evaluations will also be held on Saturday, September 23 at Forges Field. Warm-ups will be conducted at 11:30am and evaluations start at noontime or immediately following the American League and National League tryouts. ALL FARM LEAGUERS are expected to show for the evaluations. This is our one opportunity to evaluate all players and their skills to ensure a fair and balanced league in 2018. Also – this is a pre-requisite for the 9-year-olds interested in playing pre-season baseball with winter workouts (see below). Interested in coaching at the next level? There are two openings in the American League and two or three openings in the National League. If you are interested in coaching in the AL or NL for the 2018 season, contact Dave MacKenzie at rma.construction@yahoo.com . Calling all girls! Calling all girls! Softball tryouts for the 2018 season will be on Saturday, September 30 at Forges Softball Fields. All girls who have not played previously or are moving up to a new division are required to tryout. Contact Nicole Bacci for all information regarding tryouts at niclandry@yahoo.com . Is your child interested in more baseball? Do you feel the town league schedule is not enough baseball for your little rockstar? 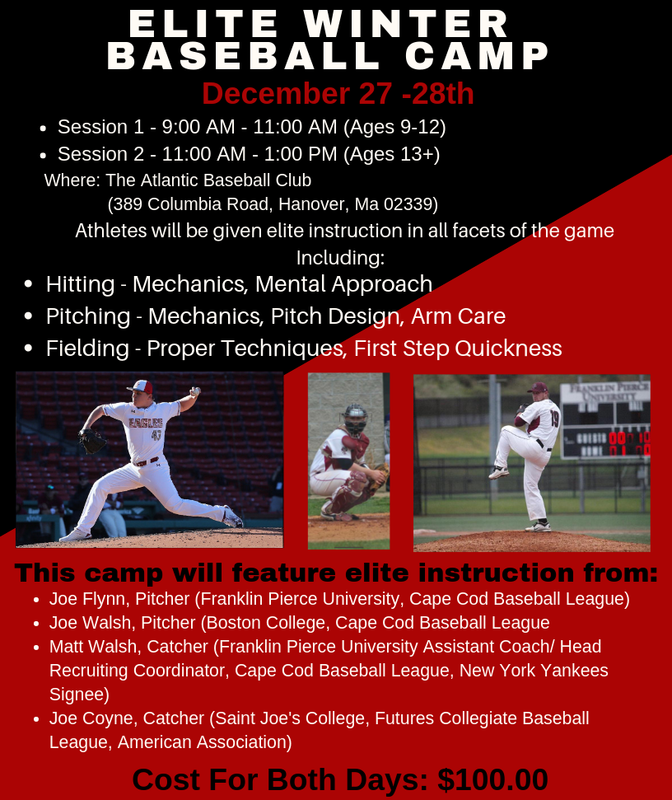 Say no more – we will have a pre-season baseball program for everyone that will compete in doubleheaders every Sunday against some great competition along the South Shore. We have player openings in all divisions – 9U through 12U and would love to have two teams at each level of play. We are looking for coaching staffs as well – more information to follow in next month’s newsletter.